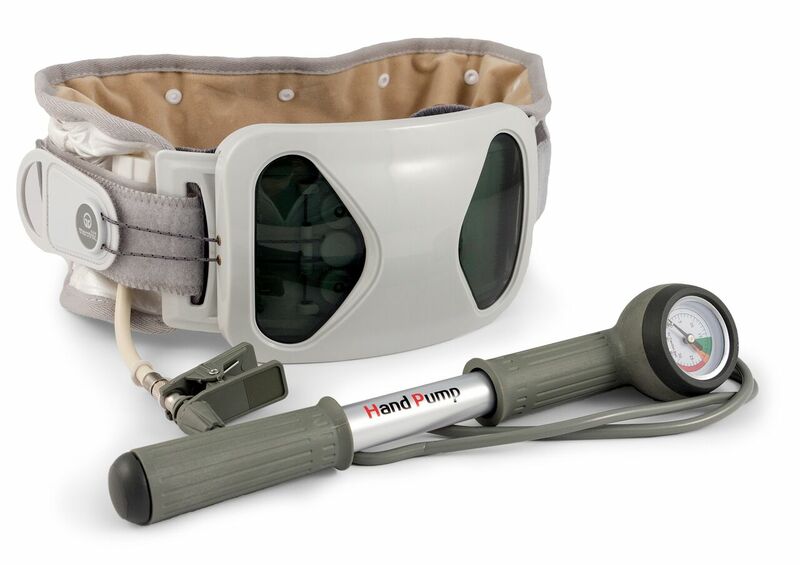 The Theratrac can be used for pain relief, muscle relaxation and stretching, posture improvement, and a variety of other pain conditions. Unique pneumatic pump valve – allows for a quick plug n play - inflate and deflate. Latex free construction with all natural cotton lining. The theratrac is simple to use, fully portable, and comfortable to wear. The Theratrac lumbar traction brace is a very unique and effective therapy mechanism to decompress the spine, and unload the weight on the lower lumbar. A longitudinal force to the axis of the spinal column is the definition of spinal traction. In other words, pulling parts of the spinal column in opposing directions to change or stabilize damaged spine positions. The Theratrac is an easy to use, highly functional, and very effective lumbar traction device, giving the user the ability to treat their condition at the most comfortable clinic on earth…their home. For sufferers of lumbar related pain conditions, the Theratrac system assists by decreasing pain symptoms, mitigating muscle spasms and works to decompress the spinal architecture. 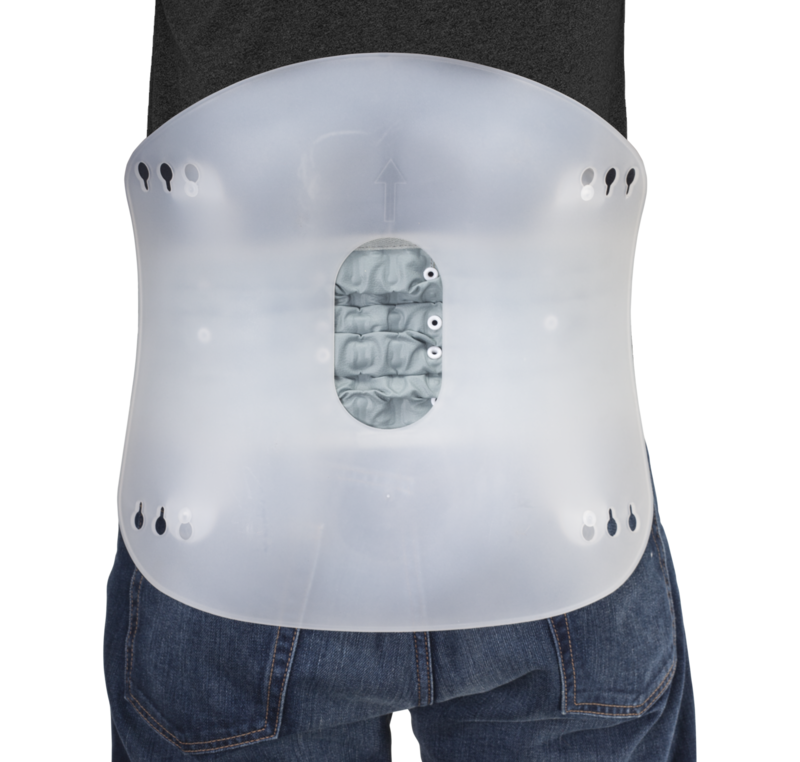 Theratrac utilizes pneumatic bladder technology giving it the unique ability to administer a moderate lumbar decompression stretch, to gently contour the innate spinal path. Support and incremental stretching is critical to lumbar traction success; and through the hand pump, the user is in total control. The Theratrac can be used to treat both injuries, and spinal diseases, providing the user with comfort and effective therapy results over the course of use. Free yourself from lower back pain and pressure. Lift your lower lumbar and release the weight; this will help increase the intervertebral disc space and corresponding pressure on the nerve root. Materials used: Neoprene foam – 75% and Stretch nylon – 25%.Read all instructions and cautions and warnings before using.